We are happy to announce the availability of the latest firmware and software for Windows, as a free upgrade. It includes final release version v1.15 firmware for Spectrum Analyzer and Signal Generator, as well as v1.15.1607 latest compatible RF Explorer for Windows. The major features include full support for Signal Generator Frequency Sweep, Amplitude Sweep and Network Analyzer. We recommend all users to benefit from these new features and fully stable latest firmware v1.15 upgrade. Please download from our online repository. This firmware resolves a problem with RF module idle mode. Before this fix, the Combo units with two modules may not always power off the unused module correctly, leading to higher power consumption and RF false readings. Thanks for customers reporting this problem, it was elusive bug not all silicon RF devices had, not resolved by everyone at last. Upgrade instructions available in the internal release notes document. 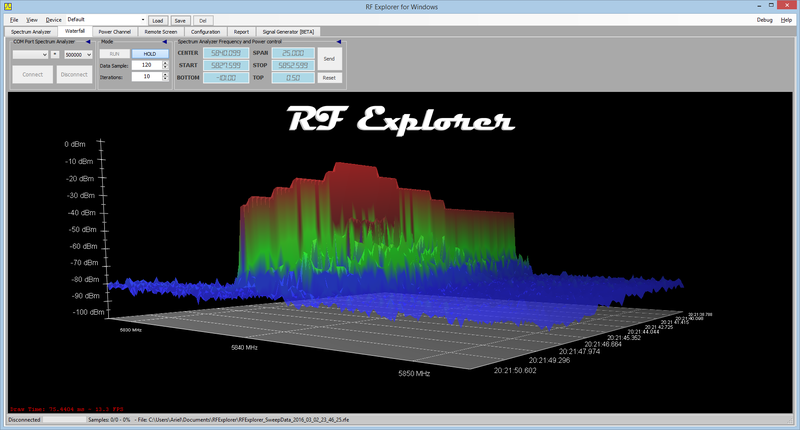 We are happy to announce RF Explorer will be available for demo and purchase in Hamvention 2016. Hamvention is one of the largest and premiere Amateur Radio shows and flea market. The show this year will be held May 20 to 22 in Dayton, Ohio; where thousands of hams from across North America (and the world) converge to one location to see hundreds of commercial and flea market vendors. NutsAboutNets will offer all our RF Explorer product family and you can ask questions, take demos and see the product first hand in booth #342, Silver Arena. 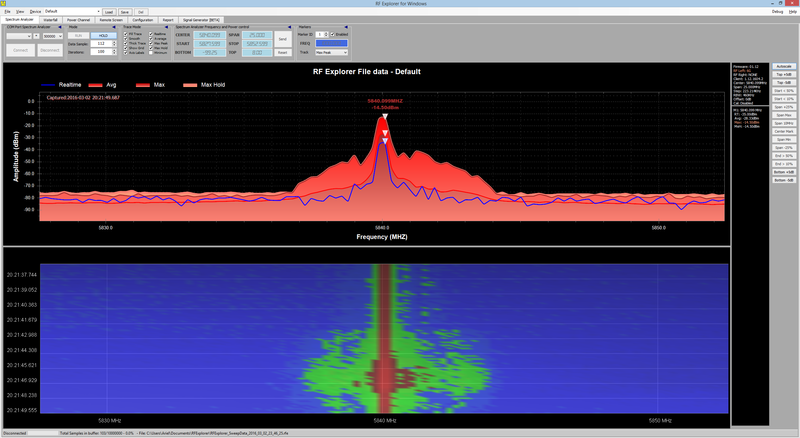 We can also help you understand how a Spectrum Analyzer and Tracking Generator can make your life easier tuning antennas, checking filters, detecting jam and noise sources, to name a few..
Start RF Explorer for Windows application. 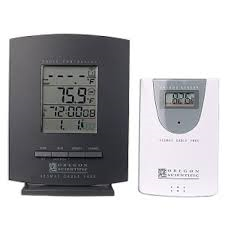 Both devices will be automatically connected to correct ports and enable SNA display automatically. Manual connection of devices is still available as usual, in all cases the application will try to connect the right device to the right port as soon as the connection is made. 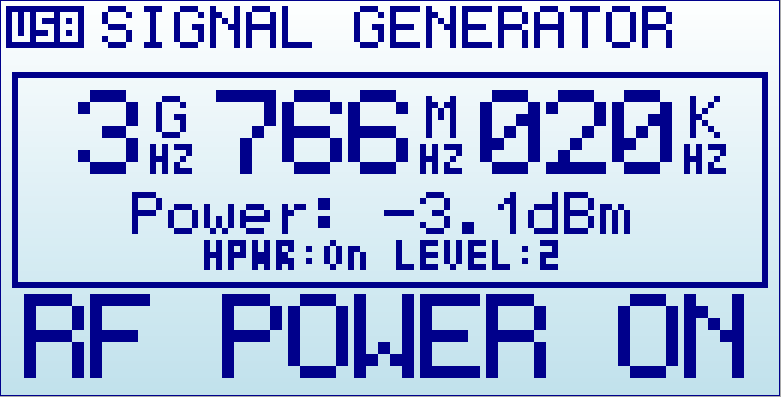 Aligned waterfall 2D view on main Spectrum Analyzer screen. 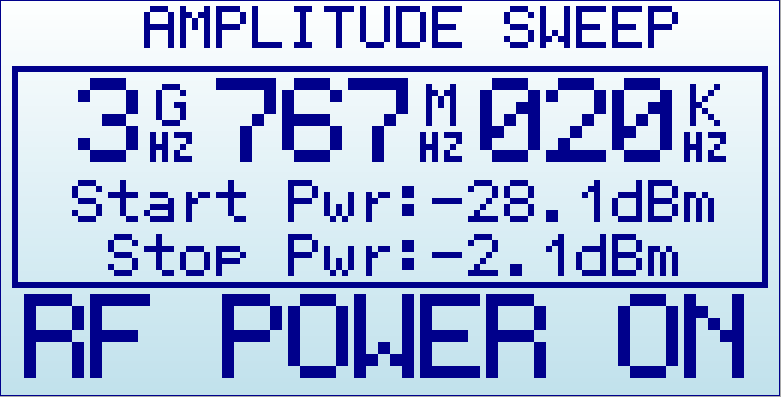 Now is possible to have a fully aligned frequency view on both displays. Waterfall dedicated tab view is now independently configured from that of Spectrum Analyzer tab view. This is best fit for a convenient 2D waterfall on Spectrum Analyzer and a full featured 3D view on Waterfall view. Configuration settings such as transparency and Realtime/MaxHold settings for waterfall are also independent in both views . Default settings are now Dark Mode and Spectrum Analyzer view configured to include waterfall 2D. This setting can be reconfigured by user anytime. If you do not need or like the Waterfall view, use menu View->Include Waterfall in Main Screen->None. Waterfall screen display is now properly updated when “Data Sample” index is manually modified while Hold mode is enabled. Before this fix, waterfall display may not update with correct data when Data Sample was manually modified. 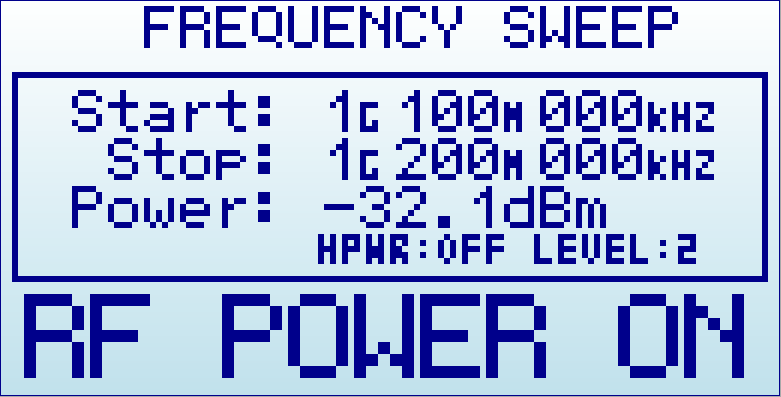 Frequency Markers are invalidated in Wifi Mode if they are out of range. Before this change, some markers could read incorrect values while Wifi Analyzer mode was enabled. Frequency Markers no longer get out of screen if too many are enabled. Before this fix, a long list of markers on screen may actually go beyond application markers area. This free upgrade is available at our download page.